We know dentistry can be confusing, but at my Long Grove dental office, we want to make sure all our patients are comfortable coming to us if they have questions. We’re always happy to answer or clarify anything. 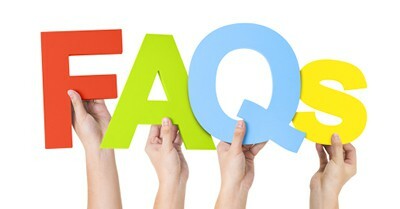 In fact, in this blog, we want to talk about a few questions we hear a lot. If your gums bleed at all, with or without the floss, you should get to your dentist in Long Grove as soon as possible. Bleeding gums are not normal, even though it’s often overlooked if the bleeding occurs while flossing. Sometimes, people even stop brushing or flossing if they feel the bleeding is caused by that alone. Typically it’s not. Bleeding gums is a key sign of gum disease and should be checked out so treatment can begin. Some other signs of gum disease are inflammation around the gums, red gums, or gums that appear to be pulling away from the teeth. If you have a dental question, give my dental office in Long Grove a call. We’d love to have you come in for a visit to talk about your concerns and get your questions answered. We strive to ensure each and every patient is educated, comfortable, and in good health. Accepting patients from Long Grove, Buffalo Grove, and Lake Zurich.